A commission of inquiry was held on November 30 to December 1, 2017. The report is complete and is being released on September 27, 2018. Read more here. NCCIT seeks prosecution based on the evidence gathered by the commission. June 15, 2018, marks 6,000 days of unjust imprisonment at Guantanamo Bay Prison. Read the March 15, 2018, statement by rights groups, including No More Guantanamos, condemning the appointment of Gina Haskel to head the CIA, due to her involvement in torture and destroying torture evidence while heading the CIA's "black site" in Thailand. Over two days, the North Carolina Commission of Inquiry heard from 19 witnesses. Watch video of the proceedings here. NCCIT needs financial support to compile the testimony into a report documenting CIA torture. They welcome your gift of any size. Read more here. Join Witness Against Torture in its new campaign to close Guantanamo, where 40 men, including men who have been cleared for release, are being held indefinitely. This new website features interviews with former prisoners now living in 20 countries. It is the work of Peter Jan Honigsberg of the University of San Francisco Law School. Read about the project in this article. The Miami Herald's Guantánamo Periodic Review Guide provides an updated list of the men and their current status. Mohamedou Ould Slahi, author of Guantanamo Diary, returned to his native Mauritania on October 17, 2016. Put on a local public reading of excerpts from Mohamedou Ould Slahi's Guantánamo Diary. Find scripts and suggestions for your local reading here. The Senate CIA Torture Report is here. It's time for the American people to stop believing false claims that 'torture works'. And besides, even if it did work, that does not justify using it. The Bush administration created the Guantánamo Bay prison in Cuba, a prison at Bagram air base in Afghanistan, and other offshore prisons as "law-free zones" that it believed were exempt from U.S. and international law, including the Geneva Conventions and the nearly 800-year-old writ of habeas corpus. The U.S. Supreme Court disagrees. President Obama promised to close Guantánamo Bay prison, and his administration cleared more than 100 of the remaining prisoners for release, but Congress has halted transfers to a standstill. Other men there, at Bagram, and at other offshore prisons may also be wrongly held by the U.S. military. Some of these men cannot safely return to their home countries. Unfortunately, nine years of scare-mongering have taken a toll on Americans' commitment to human rights for detainees. New videos include a March 30 conversation on U.S. detention policies featuring Pardiss Kebriaei of the Center for Constitutional Rights and Michael Sullivan of Ashcroft Sullivan, and weekly vigils of the Des Moines Anti-Torture Collective. 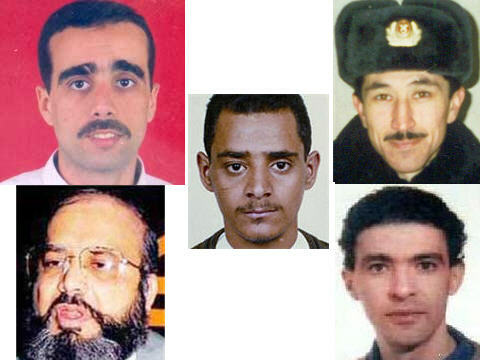 Show the remaining prisoners that the world has not forgotten them. Write a letter or send a card today. Updated toolkit to support grassroots public education about the planned closure of Guantánamo Bay prison, using prisoners' stories to overcome musunderstandings about the prisoners. Bagram Prison annotated list of prisoners compiled by Andy Worthington. There are 41 detainees still at Guantánamo Bay prison; about half were cleared of any connection to terrorism years ago. The prison at Bagram air force base in Afghanistan currently holds more than 1,500 detainees.